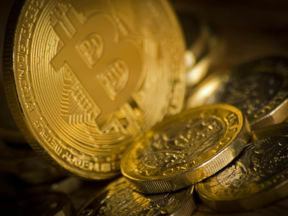 "Highly professional" hackers made off with around 4,700 Bitcoin from a leading mining service, a Bitcoin exchange has said. The value of Bitcoin is currently extremely volatile, but at the time of writing, the amount stolen was worth approximately $80m. The hacked service was NiceHash, a Slovenia-based mining exchange. It said it was working hard to recover the Bitcoin for its users, adding: "Someone really wanted to bring us down." The attack happened early on Wednesday, said NiceHash's chief executive Marko Kobal. Attackers accessed the company's systems at 01:18 CET (00:18 GMT). By 03:37 the hackers, whom the company believes were based outside the European Union, had begun stealing Bitcoin. The theft comes as the price of Bitcoin continues to surge, dumbfounding experts and stoking concerns of a bubble. High-stakes attacks like this are not uncommon, with several large breaches and thefts hitting Bitcoin and other related services over the past year. NiceHash is a mining service, a company that pairs up people with spare computing power with those willing to pay to use it to mine for new Bitcoin.